Wood veneer with plywood core, and solid wood ends. Supplied with cleat to attach to floor for easy installation. Create a waterfall or infinity island using our new box fillers. 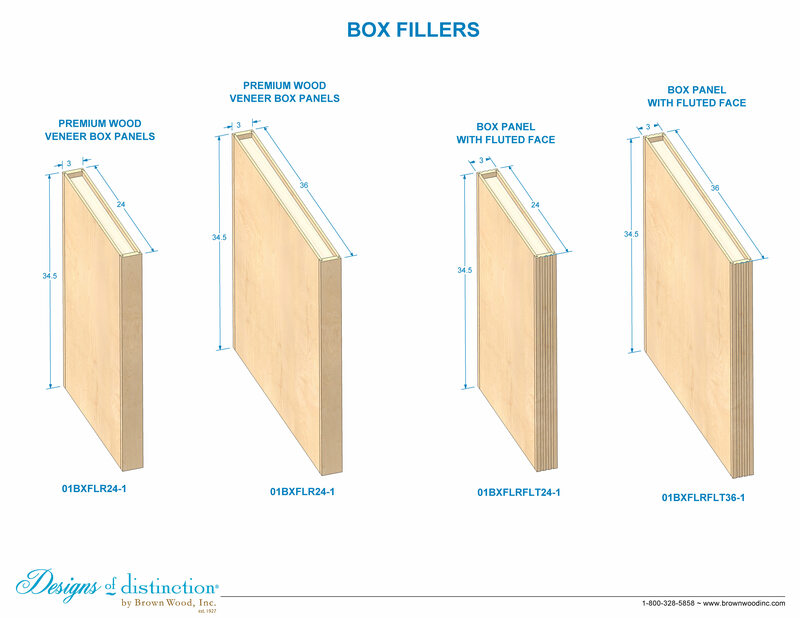 Our box fillers are constructed using a plywood core with hardwood ends. The wood veneer is stainable and paintable. Each box filler is supplied with a cleat to attach to your floor and secure box filler into place. Available in 2 sizes and 2 styles, our box fillers are structurally sound, aesthetically pleasing, and easy to install. Structurally sound to hold existing or new countertop.